Why be hot, irritable and sticky this summer when you can be cool, happy and comfortable. 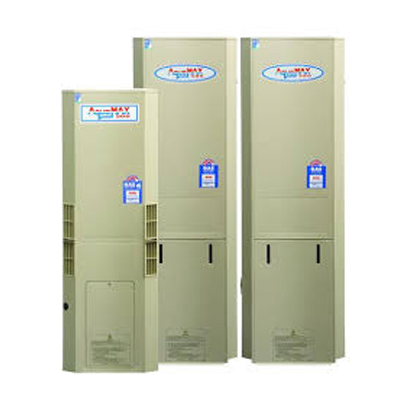 EHC tested and recommend a Carrier Split System Air Conditioner. They can be installed in a day so you get a good night’s sleep and get you ready for another Melbourne day. If you want your whole house warm in winter and cool in summer then a Carrier Ducted Air Conditioning system is what you need. Talk to your EHC representative to discuss the differences and options. 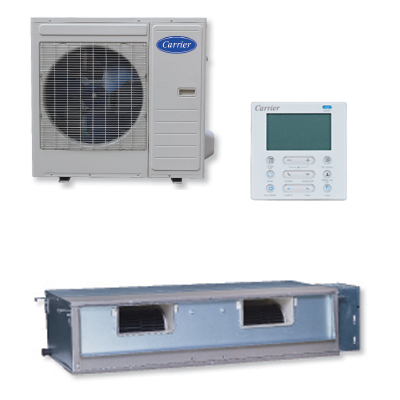 Carrier produce a high quality air conditioner and EHC provide an A grade installation and service. 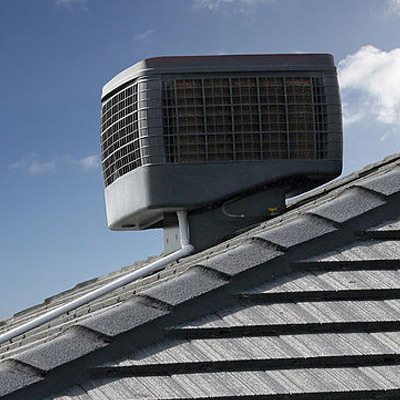 Evaporative cooling is a great solution for Melbourne summers using a totally natural cooling system of air flow and water. No more dry, sore throat whilst still feeling cool and comfortable. EHC recommend and use Omega Climate Systems because they are a reliable, efficient and locally made system that is quiet and continually circulates clean fresh air cooled by water. Another benefit of using evaporative cooling is that you have more money left in your wallet after buying and installing this system. Evaporative cooling is up to 50% less to install and up to 80% less to run than refrigerated systems. EHC like the idea that 100% fresh air is continuously being circulated through your house, nothing is recycled. Now think about that for a minute, all cooking and other odours are taken out of circulation and exhausted outside. This means that coughs and colds are moved out of the house and replaced with fresh, clean water cooled air. You are protecting your family’s health and keeping them cool and comfortable at the same time. EHC employs only fully licensed Plumbers and Gas Fitters and can therefore offer you a 3 month Warranty on all Labour covering installation, repairs and service. 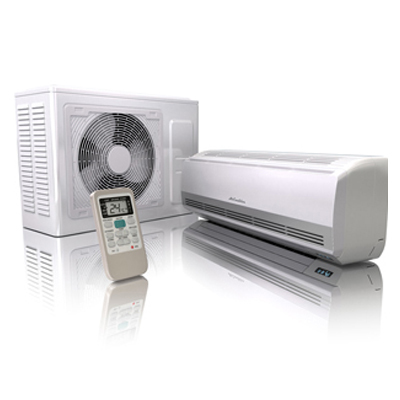 Omega Climate Systems also offers a 10 year Manufacturer’s Warranty on their evaporative cooling system. Every good restaurant knows that if you want happy customers you MUST keep the Chef happy!! 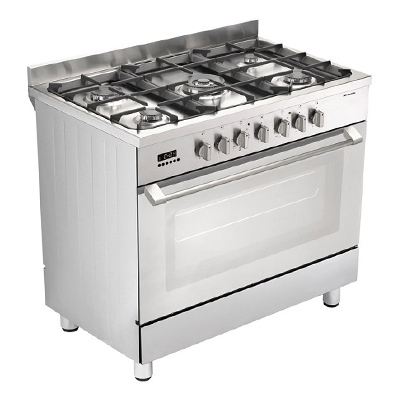 So EHC have tested and now recommend Domain Gas Cooking appliances. However if you have a special brand you prefer then EHC technicians are fully trained and qualified to install the appliance and service it. Quality Assurance – EHC work to the Government Gas Installation Code AG 601 which means that they’ve got you covered for quality assurance and back up their work with a 3 month Warranty on their labour. Supplied, installed and ready to go. Keeping the Chef happy and the family well fed. EHC have been providing professional heating services to Melbourne city and residents of all suburbs for TEN YEARS now and have built a strong reputation for high quality, friendly service. 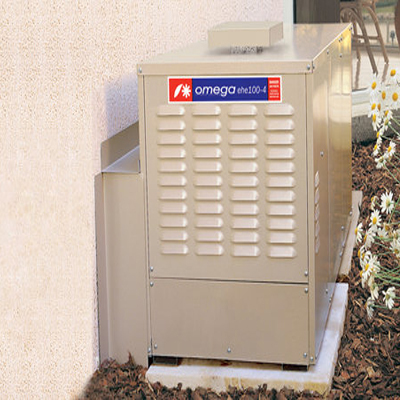 EHC recommends the OMEGA brand heater manufactured in Melbourne for its reliability, long life span and low maintenance. Every type of gas appliance requires proper maintenance every 2 years for proper functioning. Faulty appliances or parts can lead to dangerous problems as they may start to emit poisonous or combustible gases. The accumulated dust and dirt may also slow down the proper functioning and lead to fires. That is why EHC offer you a Service Option to keep you save and comfortable. Every 2 years they will contact you to make an appointment time to inspect and discuss your Heater before repairing it if it needs it. EHC’s entire hand-picked workforce is composed of fully licensed Plumbers and Gas Fitters. EHC offers a 3 month labour warranty guarantee on all their repair and service work. Manufacturer’s warranty is only available for the new parts. EHC offers a 6 year labour warranty on all brands for installing your new hot water system. EHC provides only the best equipment along with the best friendly service. Our Services : Air Conditioning, Ducted Heating, Evaporative Cooling, Ducted Air Conditioning, Split Systems, Servicing & Maintenance to all leading brands, Repairs, Supply & Installation of all leading brands, Hot water servicing, Supply and installation of new hot water systems, supply and installation of Cooking Appliances, Duct replacement, Emergency call out, all commercial and domestic air conditioning & heating Services Melbourne Wide, Supply and installation of dish washers. We cover all Melbourne metro, Gippsland, Mornington peninsula, Mordialloc, Cranbourne, Clyde, Clyde North, Pakenham, Moe, Inverloch, Phillip Island, Korumburra, Ringwood, Rowville, Ferntree Gully, Doncaster, Berwick, Gembrook, Warneet, Warragul, Rosebud, Flinders, Burwood, Chirnside Park, Bundoora, City, Park Orchards, Croydon, Beaconsfield, Officer, Cardinia, Koo Wee Rup, Nyora, Wonthaggi, Sommers, Hastings, Dingley Village, Bentleigh, Hampton, Mount Waverly.